Karl Auer von Welsbach (1858-1929) Rare Earth chemist and isolated praseodymium and neodymium. September 1 is Carl Auer von Welsbach’s birthday. Auer was the Austrian chemist-inventor that isolated the elements praseodymium and neodymium. Much of Auer’s chemical career centered around the study of rare-earth elements. These are the elements that appear in their own section at the bottom of the periodic table (lanthanides and actinides) along with the elements scandium and yttrium. In Auer’s time, one of the rare earth elements was called didymium. Didymium (symbol Di) was discovered in 1841 from the mineral cerite by Carl Mosander, who announced the discovery of the new element. In 1874, Swedish chemist Per Teodor Cleve determined it was not a single element, but made up of two other components but could not manage to separate them from each other. Welsbach discovered a method of fractional crystallization that managed to separate didymium into two different brightly colored salts. He named the green salt praseodidymium (meaning green didymium) and the pink salt neodidymium (meaning new didymium). The names were ultimately shortened by the extra ‘di’ to their present praseodymium and neodymium. Auer’s work with rare earth minerals led to the development of the metal filament gas mantle which greatly increased the brightness and cleanliness of gas lighting. His first attempt involved soaking guncotton (nitrocellulose) with a mixture of magnesium oxide, lanthanum oxide, and yttrium oxide. When heated, the guncotton would burn away leaving a fine and extremely fragile ash containing the metals which glowed when heated by the gas flame. This first attempt produced a bright light, but the light it gave off was had an unpleasant green tint. His next version which involved soaking the guncotton with thorium dioxide and cerium oxide produced a whiter light and was more successful. This mantle was the commercial success he became famous for. He attempted to improve this design, even more, using other metals like platinum and osmium. Osmium is a difficult metal to work with. It is difficult to stretch into wires but Auer developed a technique to create thin wires of osmium by mixing osmium oxide with sugar to form a paste. He then pushed the paste through a thin nozzle to form the wire shape. When the sugar was burned off, a matrix of osmium was left forming the wire. Around the time of this part of his research, electric arc lighting was a new technology. Auer began looking to see how his filaments would work compared to the carbon filaments that were used in arc lights. It turned out, Auer’s metal filaments not only lasted longer, they used half the electricity of carbon filaments. These would prove to be another commercial success for Auer. The metal strikers or ‘flints’ you see in cigarette lighters is another product invented by Auer. He patented “misch metal” in 1903 containing mostly cerium, some other rare earths and iron. This metal produces sparks when scratched by a metal file. This invention is considered to be the first major advancement in firemaking since flint and steel and still widely used today.
. This coating is also used in color photography filters to lower the intensity of the orange and yellow light to make the other colors more vibrant. 1988 – Luis W. Alvarez died. Alvarez was an American physicist who was awarded the 1968 Nobel Prize in Physics for his discoveries of high energy resonant states of elementary particle physics and the development of the hydrogen bubble chamber technique to analyze data. Along with his geologist son, Walter Alvarez, he discovered a layer of iridium rich clay between the K-T boundary of earth that divides the Cretaceous and Tertiary time periods. This is when the dinosaurs died out. Iridium is rare on earth but less so in meteors and asteroids. After eliminating other causes of the iridium deposit, they came up with the theory that an asteroid may have caused the dinosaur extinction. 1979 – Pioneer 11 reaches Saturn. NASA’s Pioneer 11 became the first spacecraft to reach the planet Saturn when it flew within 21,000 km of the cloud tops of the planet. 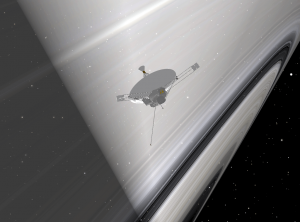 The Pioneer spacecraft was used to investigate the rings and determine if a trajectory through the rings was safe for the upcoming Voyager visits. Pioneer 11’s discoveries included a moon and a new Ring. Saturn’s moon Epimetheus is a small inner moon nearly sharing the orbit of Janus. Astronomer Richard Walker observed Epimetheus in 1966, but general consensus at the time was his moon was Janus. Pioneer 11 confirmed the discovery. The ring was discovered just outside the A ring and designated ‘F ring’. After passing Saturn, Pioneer 11 began its long journey towards the constellation Sagittarius. 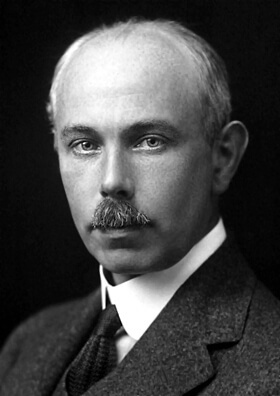 1877 – Francis William Aston was born. 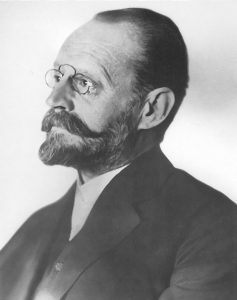 1858 – Karl Auer von Welsbach was born. 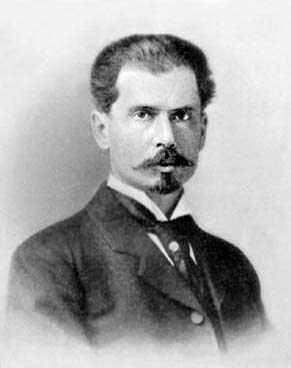 1856 – Sergey Nikolayevich Winogradsky was born. Winogradsky was a Russian microbiologist who pioneered modern bacteriology and discovered the process of nitrification of soil by bacteria. He also identified how sulfur bacteria obtain energy from the conversion of hydrogen sulfide to sulfur and then sulfuric acid.